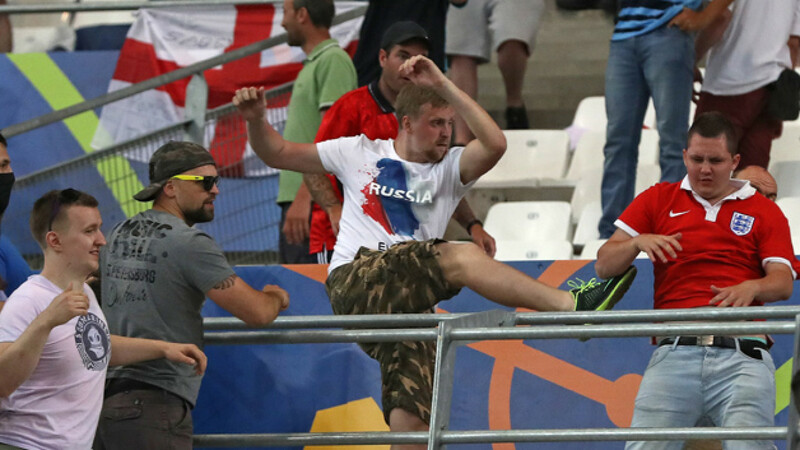 Russian supporters attack an English fan following the Euro 2016, Group B match between Russia and England in Marseilles, France on June 22. In the closing minutes of the now infamous June 11 match against England in Marseilles, France, Vasily Berezutsky rose to head home the equalizing goal. What happened next made front-page news across the world. 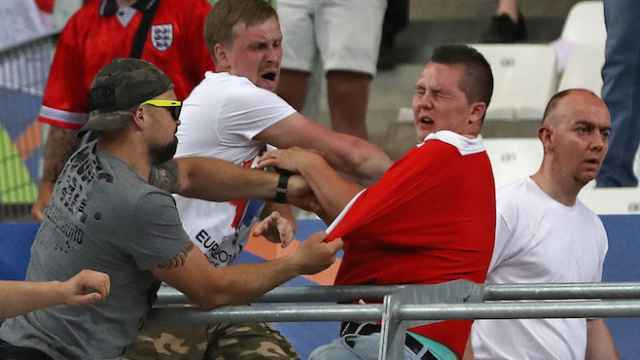 A charge by Russian supporters into English sections of the stadium developed into a mass brawl. At least 36 people were injured, four seriously, in these and earlier clashes. Three days later, European football's governing body UEFA handed out a stern penalty to the Russians. There was a fine of 150,000 euros ($168,000) for the Russian Football Union, and a "suspended disqualification" given to the Russian national team. Any repeat of the stadium violence will mean Russia is out of the tournament. The same day, a bus carrying Russian football fans was stopped on its way to Lille, where the Russian team played its second match. Forty-three Russian fans were arrested. Who were the Russians who had traveled to France, so keen, it seems, for a fight? These were mainly Russian "ultras," far-right hooligans, members of so-called "firms" at main Russian football clubs. "They came specifically to fight," Russian sports journalist Ivan Kalashnikov says. "They have this idea in their heads that they have to show their strength. Most of them don't even to the stadiums to watch the game," he adds. 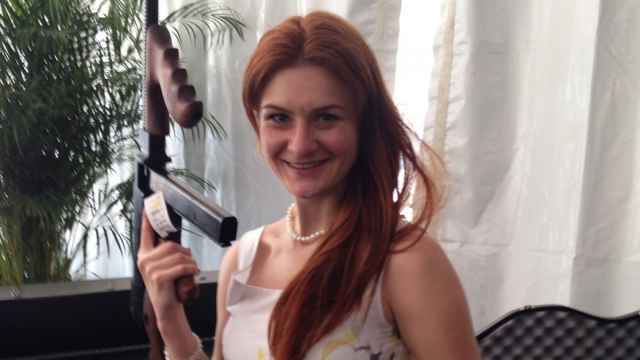 One of the details to emerge early on was that the nationalist activist Alexander Shprygin had traveled to France with the official Russian FA delegation. The Moscow Dynamo fan had been pictured with Russian Sports Minister Vitaly Mutko and President Vladimir Putin in 2010. Shprygin organized a charter flight from Moscow to France for the Russian Supporters Union, which he founded in 2007. It is unclear what role, if any, Shprygin played in the disturbances. Having a far-right former hooligan as the face of Russian football fans has reportedly raised concerns among UEFA officials and anti-racism organizations. These concerns are aggravated by the fact that Russia is meant to host the FIFA World Cup in 2018. Hooliganism is, of course, not limited to Russia. The "ultras" football culture of violence and far-right ideologies can be found across the post-Soviet world. Many "ultras" model their behavior on that of the English football hooligans of the 1970s and 1980s. But in Russia, the "ultras" sub-culture, known locally as "okolofutbola," has a strong following. And, as Shprygin's inclusion in the official delegation indicates, they are more or less tolerated by the authorities. The reaction from Moscow was accordingly ambivalent. On the one hand, the Kremlin and government were careful to condemn the violence, no doubt with one eye on the upcoming 2018 World Cup. 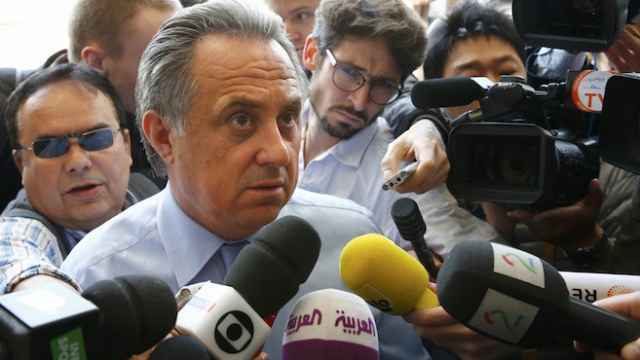 Mutko set an apologetic tone, saying the Russian fans had "brought shame to the country." But the arrests of the Russian fans proved too much for other government officials. Following the detention of Russian Supporters Union members, Foreign Minister Sergei Lavrov sent a strongly-worded message to his French counterpart Jean-Marc Ayrault. Lavrov claimed the arrest violated international agreements and called for avoiding such measures in the future. 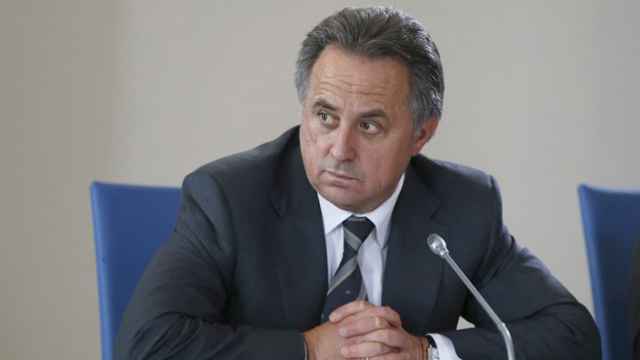 "The behavior of some Russian fans is unacceptable, but ignoring provocative behavior of foreign fans is also unacceptable," the foreign minister said, commenting on the situation in the State Duma. Emotionally, many Russians sympathize with the "ultras" and other public figures were more forthright. Writing on social media, the former press secretary of the Russian Football Federation Andrei Malosolov praised a "victory": "Don't the Russians deserve respect for their fearlessness? They beat the citizens of a country that … has always been an enemy of Russia." Igor Lebedev, a Duma deputy and Executive Committee member of the Russian Football Union, added to Russia's anti-diplomacy effort. Tweeting soon after the match, he wrote: "I don't see anything wrong with the fans fighting. Quite the opposite, well done lads, keep it up!" In comments made to The Moscow Times, Lebedev later explained he didn't mean to support the Russian fans "very bad" behavior and that they should be punished — "but they deserve moral support being left alone there." Lebedev said that the violence had happened because the French authorities were unprepared. The outspoken deputy conceded that suspended disqualification was the "best of the worst penalties" that could have been made. "They could have thrown us out, meaning debates about taking the 2018 World Cup away from Russia would have started again," he said. Since hosting the World Cup is important to Russia, avoiding further complications at the 2016 Euro Cup is crucial. During a meeting with the Security Council, Putin said that in preparations for the 2018 World Cup, Russia must "learn the lessons of assuring proper security at football events from the experience in France."